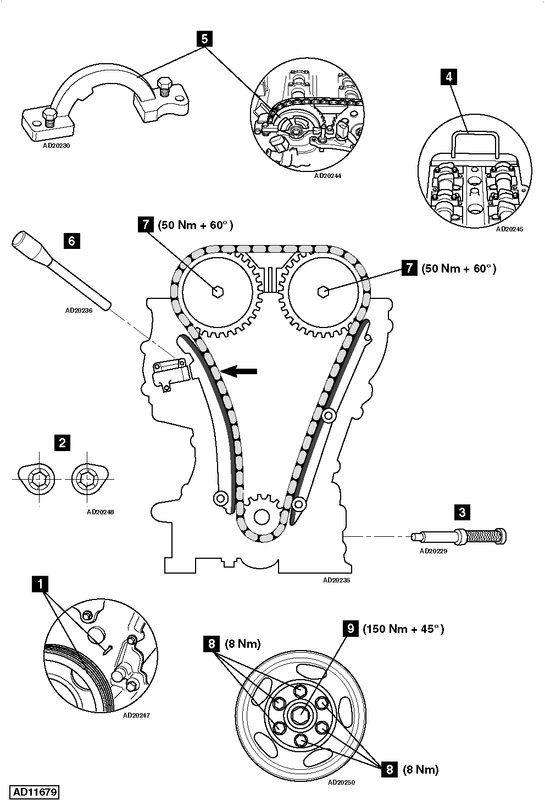 Timing chain tensioner locking pin – No.KM-955. Ensure No.1 cylinder camshaft lobes are facing outwards  . Compress timing chain tensioner and lock with tool  . Tool No.KM-955. Tighten bolt of each camshaft sprocket to 50 Nm + 60°  . Tighten crankshaft pulley centre bolt to 150 Nm + 45°  .